Bespoke application development With PHP and MySQL. 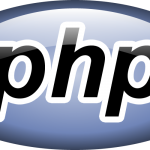 Best PHP programmers at work for cutting-edge web solutions. Brainpulse is a professional PHP Development company with 15+ years of robust experience in web development using Linux, Apache, MySQL, PHP (LAMP) & AJAX technologies. We own a dedicated PHP development team that develops and deploys contemporary PHP web applications having in mind client’s business needs and available budget. Whether you need a custom PHP web application or want a full-fledged ecommerce store developed using PHP and MySQL, we are the right destination. Large number of libraries and extensions are available for download. Brainpulse offers fully customized PHP web development services to deliver clients reliable websites and flexible web applications with massive features and flexibilities. Using WordPress, Joomla, Drupal, Magento, OsCommerce and phpBB, our experts develop robust and dynamic web solutions. The solutions have technical modules with excellent functionalities. Team Brainpulse can design and develop great websites and applications using any of the PHP frameworks such as CakePHP, CodeIgniter, Symfony, Zend and Laravel. 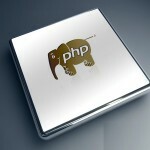 PHP offers several structured framework that enable developers reduce time taken on development. 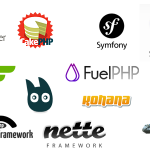 These frameworks are not only quick and reliable but also offer tremendous flexibility. Our expertise in MVC architecture helps us develop PHP applications with clarity in design and better support for building bigger applications. With PHP MVC architecture, we develop websites that can be easily maintained, upgraded and updated. Developing and deploying scalable and impressive web applications had never been that easy. Brainpulse is a renowned PHP web development company offering end-to-end PHP website & application development. Backed by a skilled team of PHP developers and a state-of-the-art development center, the company develops and deploys cost effective web solutions in PHP. Looking for dedicated PHP developers for your in house or client project? Give us a call and save more. Why investing on hiring resources when Brainpulse is there to help you. 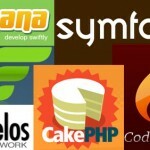 Hire as many dedicated PHP developers exclusively for your PHP projects. From conceptualization to deployment, they will work for you. Just give us a call, and we will arrange an interview and schedule and f2f walkthrough with our PHP masters. BrainPulse has delivered several hundred web applications using PHP Development India services so far. It has ensured to provide its clients with highly responsive and advanced websites that effortlessly cater to their online business goals. Quality assurance and quick turnaround time. Well trained and dedicated professionals. Cost effective rates with assured quality. Proficiency in PHP and MySQL technologies. Still have queries? Call us now on 0120-6790400 to get in touch with our Web Development team. They will tell you about our exclusive plans made specially for the businesses like you.